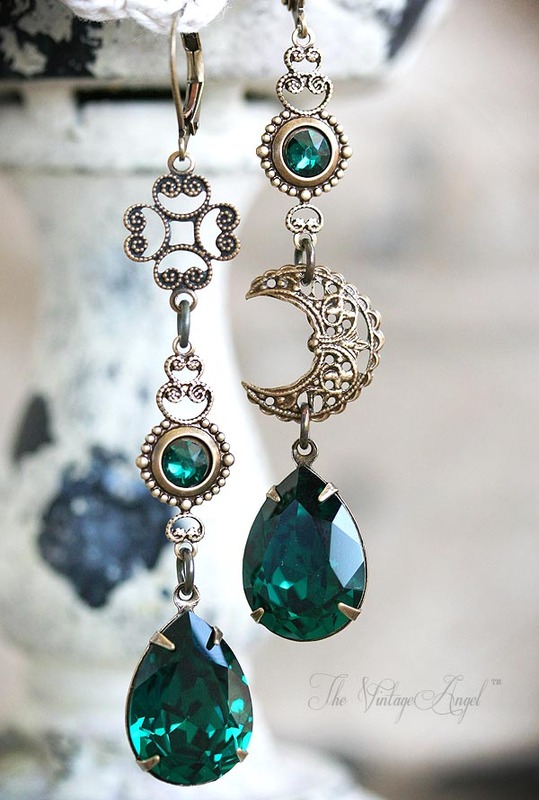 Asymmetrical (perfectly mismatched) Celtic whimsy in aged brass paired with Swarovski Emerald pears and rhinestones. 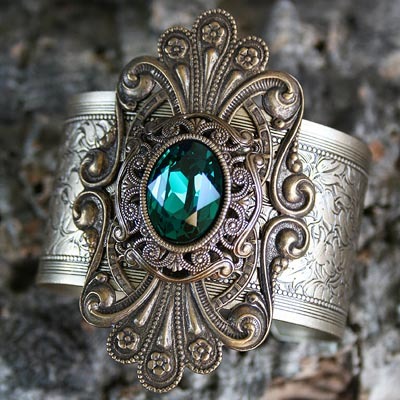 A Celtic style four leaf clover connector (for luck! 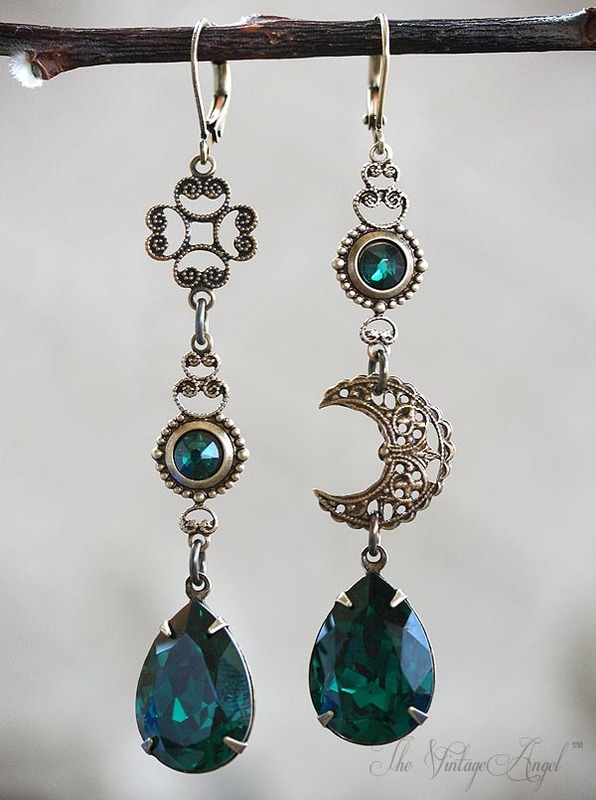 ), a filigree crescent moon and pretty rhinestone connectors make up this unique pair of asymmetrical earrings with brass leverback hooks for pierced ears. Brass leverback hooks. 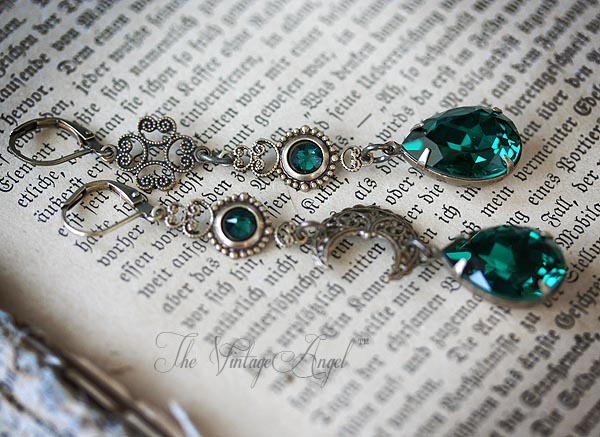 Crystal pears and rhinestones are Swarovski crystal. About 2.95" inches long including hooks.